Known also as Xenios, Grimnir, Ahausurus, Cartaphilus, Isaac Laquedem, Kukulcan, Zerib Bar Elia, Joseph, Salathiel, &c.
I have mentioned the birthplace of Aristeas, the author of this poem; now here is a story I heard about him in Marmora and Cyzicus. He belonged to one of the first families in his home town, and one day, upon entering a fuller’s shop, he fell down dead. The fuller closed his shop and hurried out to inform his relatives of what had occurred, but no sooner had the news of Aristeas’ death got about, than a person from Cyzicus, who had just arrived from the town of Artaca, contradicted the rumor and declared that he had met him going toward Cyzicus and had talked to him. He was absolutely certain of this and would take no denial. Meanwhile, Aristeas’ relatives were on their way to the shop with what was necessary for the funeral, intending to take the body away; they opened the door, and the room was empty -- Aristeas was not there, dead or alive. 680 - 673 B.C. -- The sources of Aristeas’ powers and immortality are unknown. After many years of life he falls into a comatose state and “re-sets” at an (apparently) much younger age. Associated with his immortality is a restlessness, an urge to wander. He treks off into central Asia, where the Walls-Between-Worlds are weak, and he passes through a Gate into Aanuu, home of gryphons, Arimaspians, giant ants and wasps, and other strange beings. Eventually he finds a passage back to Earth. The people consult the oracle at Delphi about this mysterious being, and for once they are given a straight answer: “they had better do what it recommended.” Thus a statue of Aristeas was erected beside the image of Apollo in the market square of Megapontum. Elijah never died, but was translated bodily into heaven. According to Jewish belief and folklore, “he spends half his time on earth, wandering throughout the world to bring solace and hope. This vast number of legends about Elijah’s wanderings preceded the legends of Cartaphilus-Ahasuerus-Laquedem by many centuries.” [Joseph Gaer, The Legend of the Wandering Jew (1961)] It is possible that Aristeas has been mistaken for Elijah over the years, or that he has passed himself off as the Prophet. Third Century B.C. -- Scandinavia -- “Three or four centuries before the Christian era the Teutons were established in the south of the Scandinavian peninsula, in the islands of the Baltic sea and on the great flat plain of north Germany,” writes E. Tonnelat in “Teutonic Mythology” (New Larousse Encyclopedia of Mythology). Upon forming a culture distinct from their Indo-European ancestors, the Teutons develop their own myths, including the tales of Odin, Othin, or Wotan, the god of the raging elements. 1465 -- Bohemia -- While passing through Prague, Aristeas is taken in by a kindly weaver. The weaver has amassed a fortune in gold and silver over the years, and he wishes to hide it until his grandson is twenty-one years of age. Before he wanders off again, Aristeas helps him built a small, underground vault in which to hide the money. 1505 -- Bohemia -- At this time Ladislas II rules Bohemia, and in Prague, not far from the royal palace, lives the royal weaver, Kokot. Kokot’s grandfather had forty years earlier hidden a great treasure somewhere near the cottage of the Kokot family. The grandfather died, and Kokot’s father was murdered before he could tell the young weaver where the treasure was hidden. Kokot searches for the treasure for years without success. His wife and friends doubt the fortune even exists. The stranger, who gives his name as Joseph, has just arrived from Prague. “He had seen the light in the window and felt too tired to walk any farther.” Kokot gives him bread and cheese and prepares him a bed in the workroom. Kokot is skeptical. Joseph will prove it. “I can show you the hiding place of your grandfather’s fortune, which I helped him hide when I was last in Bohemia.” Which he promptly does by leading Kokot to a tiny brick vault buried in an embankment near the cottage. Inside are many old gold and silver coins. 1525 -- Florence, Italy -- “About twenty years after the Wandering Jew left Kokot, the happy weaver in Bohemia” [Gaer], he visits the occultist and alchemist Dr. Cornelius Agrippa. The Wanderer says, “I would have thee tell me of that Marvellous Mirror, which thy potent art of magic hath enabled thee to make -- the renown of which hath brought even me, Cartaphilus (for that is the name I bear), within thy door, seeking after such strange knowledge.” With the mirror the Wanderer wishes to see the image of the woman he loved centuries ago, “Rebecca, only daughter of Rabbi Eben Ezra. . . as she was, I say, when with her I wandered . . . upon the flowery banks of the Kedron.” Agrippa grants his request, and the Wanderer looks upon the ghostly image of his long-dead love. 1530? -- near Elvan -- “A short time after the Wandering Jew visited the famed alchemist Cornelius Agrippa” [Gaer], he met the Moslem leader Fadhilah. “After the Arabs had captured the city of Elvan, Fadhilah, at the head of three hundred horsemen, pitched his tents, late in the evening, between two mountains.” He says his evening prayer, and an “echo” repeats his every word. He implores the parroting being to show himself if he is human and not a spirit, and an old man with a staff obligingly appears. Fadhilah is understandably curious. He “inquired the signs of the approach of the end of all things, whereupon Zerib Bar Elia gave him an account of general, social, and moral dissolution, which would be the climax of this world’s history.” [BG] Zerib Bar Elia is the Moslem name for the Prophet Elijah. 1575 -- Christoph Krause and Jacobus von Holstein are sent by the Duke of Holstein to the royal court of Spain. While there they meet Ahasuerus in Madrid, appearing exactly as he had to von Eitzen. Also this year the Wanderer visits Brussels, where he uses the name "Isaac Lakedion" (apparently a corruption of Lkodem, a Hebrew word meaning "ancient one"). At this time, in Western Europe, the Wanderer becomes more of a bogey in the local folklore, his appearance bringing storms, hurricanes, and pestilence. There are ways to repel him, just as fairies and vampires can be repelled -- by turning a chain harrow plow teeth upwards when not in use, for instance. 1599 -- "A trustworthy and respectable citizen of Brunswick" [Gaer] writes that Ahasuerus is in Vienna, and is preparing to visit Poland and Russia. 1601 -- Chrysostomus Dudulaeus of Westphalia, who committed von Eitzen's story to paper, reports that "This Ahasuerus was at Lubeck in 1601, also about the same date in Revel in Litvonia, and in Cracow in Poland. In Moscow he was seen of many and spoken to by many." 1604 -- Rodolphe Bouthrays records that the Wanderer is in Paris this year. Also this year a lawyer named Louvet, in Beauvais in northern France, has a strange experience: As he headed one Sunday toward the unfinished Cathedral of St. Pierre, he ran into a wind of astonishing power. He reached the cathedral stairs and nearly collided with "a gaunt old man with a flowing white beard and long white hair, dressed in rags." [Gaer] He was speaking to a group of children. Louvet entered the cathedral to hear the people, oddly enough, gossiping about the eternal wanderer who entered their city "on the wings of a storm." Louvet decides to question the old man when services are over, but when he steps outside the sun is shining and only a slight breeze is blowing. Though he searches all day, Louvet never sees the old man again. 1644 -- In this year a Turkish spy in Paris writes up a long report about a man named Michob Ader who has come to Paris. Michob claims to be the Wandering Jew. "They say that he heals all diseases by touching the part afflicted. Divers other miracles are ascribed to him." Michob has escaped from the Inquisitions in Rome and Spain, which is miraculous in itself. The spy speaks with Michob for long hours. The Wanderer tells him stories of Nero, Saladin, and other men and peoples. The spy writes that if his tale is true, "he may not unfitly be called 'A Living Chronology.'" "By his looks one would take him for a relic of the Old World, or one of the long-lived fathers before the Flood. To speak modestly, he may pass for the younger brother of Time." In the nineteenth century, Aristeas may have assumed a new identity, with the help of the newly-established Church of Jesus Christ of Latter-Day Saints. According to the Book of Mormon, a man named Lehi, who lived in Jerusalem circa 599 B.C., believed that the city had become filled with inequities. He left with his family, and after long travels the group landed in what is now South America. Lehi's descendants multiplied and split into two factions, the Nephites and the Lamanites. After the resurrection of Christ, the Savior walked among the Nephites and established His church in the New World, even gathering twelve apostles to carry on His work after He left. Christ asked of the twelve: "What is it that ye desire of me, after that I am gone to the Father?" Three of the apostles were too embarrassed to put their desires into words, but Christ said: "Behold, I know your thoughts, as ye have desired the thing with John, my beloved. . . Therefore, more blessed are ye, for ye shall never taste of death; but shall live to behold all the doings of the Father unto the children of men." Thus these three apostles, known as the Three Nephites, have wandered through the world ever since, helping people in times of need. "The Three Nephites are eternal wanderers," writes folklorist Austin E. Fife. "They wear poor, simple, and often tattered clothing, and almost universally have white hair and long white beards. They are in perfect health although they appear very old and venerable. What is most surprising, and quite significant is that they seldom appear in groups but almost always alone." 1870 -- First, however, the Eternal Jew gives one last appearance, "down on the Muddy here," as one Charley Seegmiller reports. The event happens to his brothers Adam and Billy, as Charley did not yet live in the area. "One day they was settin' around -- kind of a windy day -- and all at once they seen a man comin' along the desert. This desert was a plateau above the Muddy Valley, on the east side of the Valley, and it was just only covered with evergreens, green bushes, so you could see all over." The man approaches the Seegmillers, who are chopping wood, and says, "I would like if you would let me have some dry bread and some patches to patch my clothes. I am goin' to cross the desert here and I would like to have somet'ing of that kind." 1890, winter -- Joseph Wood is chopping wood in knee-deep snow when a man walks down the street and says, "Young man, I've come to have a talk with you. Come on in the house." The stranger rather familiarly leads the way into Wood's house, and he speaks of astounding spiritual matters, mostly concerning the fate of the Mormon church. "He was dressed like an ordinary man," reports Mr. Wood. "Clothes of a dark nature. His beard was just as white as -- as the driven snow. And his hair -- just as white as it could be. I said to him, 'You have the appearance actually of being a young person, but your hair says that you are aged.' All I got was a good big smile from that." 1900 -- The Maud May Babcock story is perhaps the most famous Nephite tale. "During the summer of 1900, I spent my summers in Brighton, Silver Lake, Utah. . . . Carrie Helen Lamson, a school teacher, some years older than myself, was my companion on most of the trips." Ms. Babcock and Ms. Lamson ride out in the semi-arid terrain on horseback. "We reached, as we thought, a trail by a deserted mine camp over Dog Lake about seven o'clock in the morning." At the top of a peak they find themselves in a shale-filled gulch, and their horses are in danger of sliding several hundred feet on the jagged detritus. Maud prays for help. "As I raised my head after my prayer, a voice above me said, 'How did you get there, my daughter?' I jabbered in relief and excitement, trying to explain our predicament, when before my explanation was finished, I was standing on the path below the peak, on the other side with Miss Lamson and both of our horses in a circle facing the stranger. We had no recollection of how we or the horses got there." The stranger is an old man with a gray beard and "very new blue overalls." He directs all his remarks to Ms. Babcock, although he does answer Ms. Lamson's questions. The old man tells Maud to follow the path she had been following, and the two women start off. Ms. Babcock looks back to call thanks, but the man is gone. Circa 1912 -- George E. Brown and John J. Oldroyd visit Vancouver Island (British Columbia) and try to preach the Mormon gospel on a street corner. Mormons are very unpopular here. "They had little more than started when down the street marched a large group of men and boys carrying several large pots of melted tar and several old feather ticks." Just as the the mob is about to tear the clothes from the Mormon missionaries, "a white haired gentleman (no one saw him arrive at the scene) grasped the leader by the wrists and said in a loud commanding voice, 'I have heard these boys preach back in the old country and they are all right. Now let them alone.'" The hitchhiker also volunteers the information that World War II will end in August. The couple drive on, and on the way back they do indeed carry a dead man -- the victim of a car wreck who dies on the way to Grand Junction. Their friends tell them about the Three Nephites, but they doubt the identification because the war doesn't end in August 1944. It does end in August 1945, of course, and at that point the couple become convinced that the prophetic old man was a Nephite. Q: When did you first hear this story? A: This spring, 1946. And I heard it from Mrs. MacDougall, of Green River, Utah. Q: Was Mrs. MacDougall, one of the persons concerned? A: No, she had heard the story from Clyde Trammel, who is a railroad man. And he, himself, wasn't concerned in the story. It was some friends of his that had had the experience. The traditional story of the Vanishing (or Phantom) Hitchhiker tells of a young woman trying to get back home from a party or dance thumbing a ride from a passing motorist. When the motorist reaches the address indicated, the woman disappears -- and the driver learns that the woman died years earlier. Now, however, the unfortunate ghost-girl has company. "Another major development in the long and complex history of the roadside ghost is almost predictable, given the nature of folklore and the changing times," writes Brundvand. This new legend is usually called "Jesus on the Thruway," although the hitchhiker in question does not claim himself to be Christ. The "Jesus on the Thruway" legend was more-or-less discovered by Lydia M. Fish of the State University College of New York at Buffalo. Aside from collecting reports of her own (with her students' help), Ms. Fish also found an MA thesis by Jansen L. Cox entitled "The Vanishing Hitchhiker." 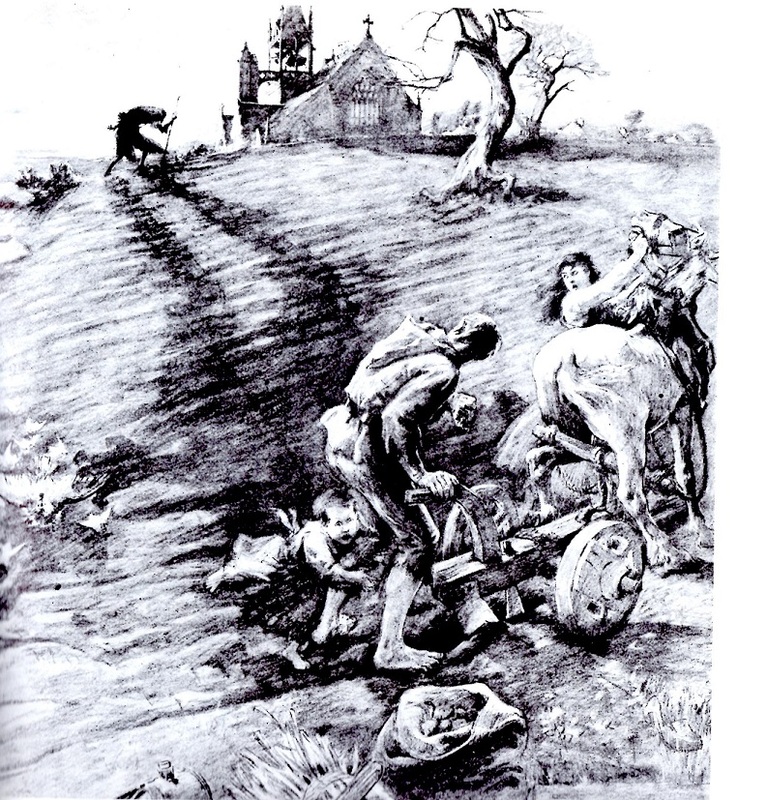 "Of forty-nine texts with male hitchhikers, she reported (p. 7) that Cox has twelve Nephites, an angel, one rider identified as St. Joseph and one as Jesus." [Brundvand, p. 45] The hitchhiker usually makes a prediction of the Second Coming, or of some disaster (like Mt. St. Helens erupting) before disappearing. Many of these modern tales may have been spawned by Aristeas. Perhaps, after twenty-seven centuries, he is tired of walking across the world, and now he flags down passing cars. Perhaps some who stop for him will become privy to astonishing secrets or amazing adventures. Baring-Gould, Sabine. Curious Myths of the Middle Ages (New Hyde Park, NY: University Books, 1967 [1866-68]). Bellows, Henry Adams, ed. Poetic Edda (New York: American Scandinavian Fondation, 1968 ). Bolton, J. L. P. Aristeas of Proconnesus (Oxford: Oxford University Press, 1962). Brundvand, Jan Harold. Vanishing Hitchhiker (New York: W. W. Norton & Co., 1981). Coleman, Loren. Mysterious America (Winchester, MA: Faber & Faber, 1983). Fife, Austin E. "The Legend of the Three Nephites Among the Mormons," in Journal of American Folk-Lore, 53:207 (Jan.-Mar. 1940), pp. 1-49. Gaer, Joseph. Legend of the Wandering Jew (New York: New American Library, 1961). Grimm, Jakob. Teutonic Mythology, Vol 1 (New York: Dover, 1962). Lee, Hector. "Three Nephites: The Substance and Significance of the Legend in Folklore." In University of New Mexico Publications in Language and Literature No. 2 (Albuquerque: University of New Mexico Press, 1949). Tonnelat, E. "Teutonic Mythology." In New Larousse Encyclopedia of Mythology (London: Hamlyn Publishing, 1981 ).